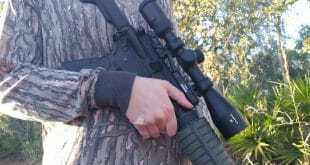 Why hunt with an AR15? Why not? They can be customizable for length of pull for nearly any size hunter wearing any size of clothing, (meaning they will shoot comfortably for your child as he/she grows up, or even you in your winter clothes, or a t shirt) they are accurate, these aren’t the rifles of Vietnam anymore, they are reliable (see last qualifier), they can be short or long, light or heavy depending on what YOU want, and they are completely customizable for your intended use and then some. 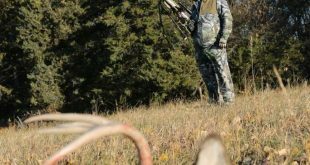 And the point of this article, they can be had in a plethora of calibers that will take any North American game. Yup…any. The AR15 platform has been around since its design in 1957 by Eugene Stoner. The original cartridge fielded by the military was the .223 rem/5.56x45mm. Which is still the mainstay for the platform. Since then, and most recently in the past few years though, the platform has grown in more ways than one, and has become a very effective hunting rifle. The .223 rem/5.56x45mm round while an excellent varmint cartridge and yes it is legal for deer hunting in Michigan, in my opinion is not the best cartridge for Larger Michigan game. SO if you want to hunt deer or black bear but want something that gives a bit more punch, what are your options? Well, you’re about to find out. For the purpose of this article I will stick with the commercially loaded ammo, there are many more options for reloaders, but I want to target readily made ammo for the masses. Here is a quick rundown of cartridges that are available in the AR15 platform. .22lr, .223, .204 ruger, 5.45×39, 6.5 Grendel, 6.8spc, .450 bushmaster, .458 SOCOM, .50 Beowulf, .300 AAC/Whisper, .30AR. Yes, I know there are more, but we will stick with these for this article. We will skip the .22lr and .204 as they are not legal for deer, and everyone already knows about .223, so we will skip that one as well. The 5.45×39 while a decent varmint cartridge is also not a preferred round for deer. 6.5 Grendel. An excellent cartridge put out by Alexander Arms. Pushing a 123gr bullet the Hornady ammo lists a velocity of 2580fps and energy of 1818ft lbs. With 23 current factory loads there should be something for everyone. With ammo made by Hornady, Alexander Arms and Wolf. .450 Bushmaster. The .450 Bushmaster (derived from the .45 Professional) is a Rifle Cartridge/Firearm Concept, developed by Tim LeGendre of LeMAG FIREARMS LLC, and licensed to Bushmaster Firearms International for production and distribution. The .450 is a heavy hitter pushing a 250 gr bullet from Hornady at 2200fps with 2686ftlbs of energy at the muzzle. But seems to be limited to ammo by just Hornady and Remington. .458 SOCOM the .458 SOCOM came about from informal discussion of members of the special operations community. 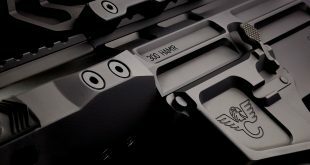 Marty ter Weeme of Teppo Jutsu designed the cartridge in 2000 and Tony Rumore of Tromix was contracted to build the first .458 SOCOM rifle in February 2001. With 12 factory loads showing at MidwayUSA it has a little better selection than he .450 bushmaster, With a muzzle velocity of 1945 with a 250gr bullet, and energy of 2100ft lbs will hit with some authority. Ammo availability seems a little spotty though. .50 Beowulf. The .50 Beowulf is a rifle cartridge developed by Bill Alexander of Alexander Arms for use in a modified AR-15 rifle. With a 240gr bullet traveling at 2240 its definitely a thumper. Ammo looks to be limited to Alexander arms brands. .300 AAC/Whipser/Blackout. 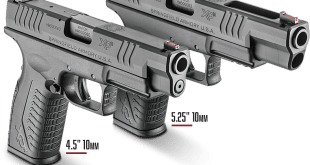 300 AAC Blackoutwas created by Advanced Armament Corporation in cooperation with Remington Defense, under the direction of AAC’s Research and Development Director Robert Silversand with the support of the company’s founder, Kevin Brittingham. The .300 whisper and .300 Blackout offer 28 different loads at midway giving good variety and has support from Remington, Nosler, and others. With the Remington load with an 115gr bullet it generates a velocity of 2285 and energy of 1332 ft lbs, this round shines exceptionally with a suppressor, which is not yet legal for hunting in Michigan, but should it be in the future, this is a heck of a round for it. .30 AR The .30 Remington AR cartridge was created in 2008 by Remington Arms. And as such, has decent support from them listing 4 different hunting loads for this cartridge. In terms of ballistics it pushes 125gr bullet at 2800fps giving it 2175ft lbs of energy. So as you can see there are plenty of options for the Michigan AR hunter to enjoy. 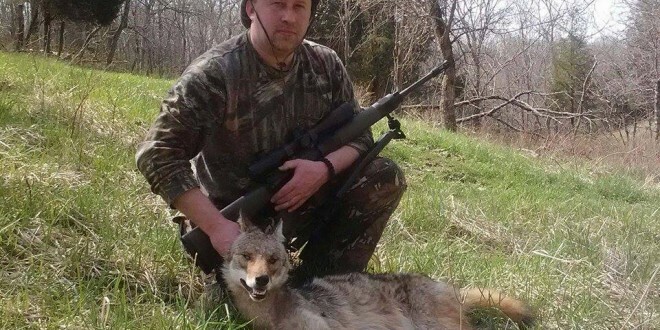 I have personally taken deer with my 6.5 grendel and have customers that have harvested with the 6.8 which seem to be 2 of the (non .30cal) most common calibers hunters are asking for right now. With the .300 blackout and family getting a large following as well.